The purpose of this play is to confuse the defense so much with position changes that at least one man is left open. Start with the regular setup. The number 3 position will pass the ball to either Number 2 or Number 1. If the ball is passed to the 2 position the ball will then be passed to the number one position. The 1 position in order to receive the ball will pull out to the 4-meter line maybe a little farther depending on pools in order to receive the pass. 1 will be the player who will need to be strong enough to hold onto the ball and read the field. 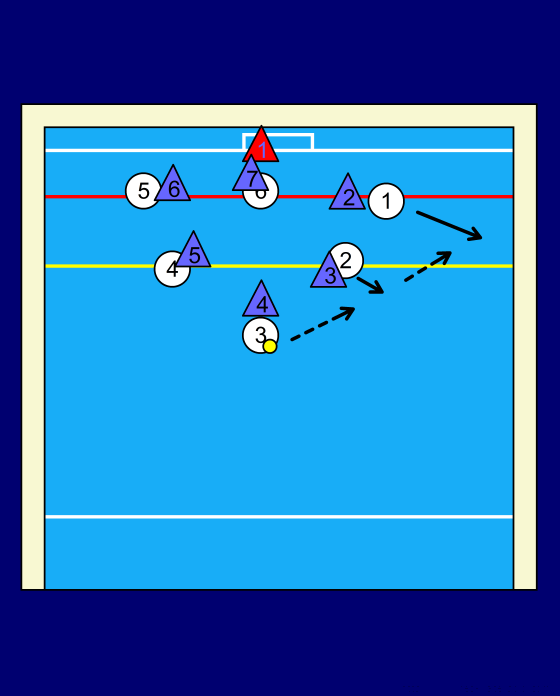 Once the ball is passed to 2 or 1 the 3 position will sprint into the set position. The 6 position will sprint and attempt to pick the 5 positions defense while drawing his defense with him to make a 2 on 1 situation. 6 should then pull back to the outside of the pool to allow as much room inside as possible. 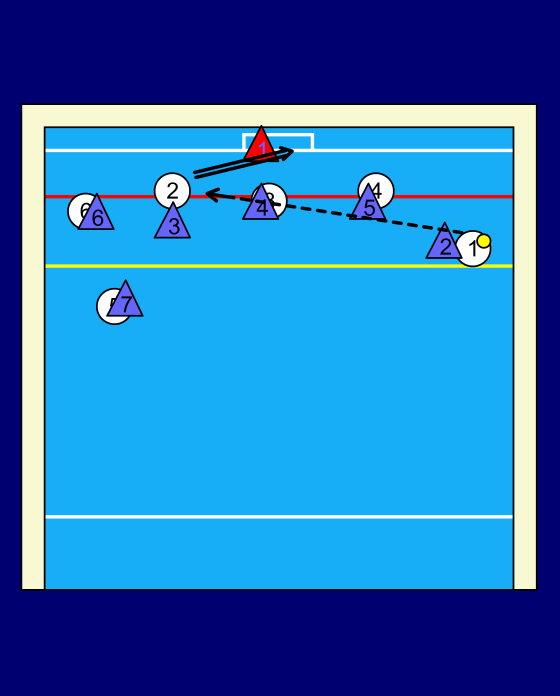 5 will drive to the 4 position while 4 makes a cross-court sprint to the one position on the 2m line. The 2 position will do the same maneuver to the opposite side of the field. The shot should come from players 2, 3, or 4.